A day in Calcutta can range from a number of emotions, from sheer joy, to beauty, charm, or exasperation to simple stupidity. But to the city’s credit, this cannot be devoid of feelings, and when i say feelings, they are intense. Probably no other city can evoke feelings with such intensity. This is maybe what sets Calcutta apart. What Bengal thinks today, India thinks tomorrow. Aapni aamaar shaathe torko korchhen? Dare you argue with me? Well, as you can imagine that was an argument quite disarming for someone as intellectually insignificant as me. Another place where you see this ” what Bengal thinks today …” is while driving. Its like this … Everyone on Calcutta roads believes that they have some form of a divinely bestowed right of way, which can be enforced by blasting everyone else by the power of the horn. And this is where i must caution you against mud-wrestling with a pig. Because i got the honking-mania too and this also shows how Calcutta can be contagious. But this is only until they get behind the wheel. That is when everyone suddenly gets into a mad hurry, being the most busy person ever, always late for a meeting, the worries of the world weighing heavy on their shoulders, so they need to be taken care of as soon as possible. Everyone on Calcutta roads is in a massive hurry. What i find puzzling is that while people in Calcutta are not to be seen in a hurry, how come the moment they come to the road, they get transformed so drastically? Whats beautiful about the city is that the people of Calcutta manage to smile at and care about fellow-people even when carrying all this worry-of-the-world around. The people of the city can still beat up an autorickshaw driver who slapped a lady passenger for remonstrating with a passing cyclist. They can tell a co-passenger that he may have got onto the wrong bus when they think they hear him asking for a ticket to a place where the bus doesnt go. And this is where the heart of the city, though i am sad to see that at places the warmth of the heart seems to be cooling down. Its important to keep this warmth glowing. On a flight i was reading the magazine and the magazine was talking about the “City of Joy”. What is interesting is that the article about things in Calcutta (or Kolkata if you may) was refering to the parts of Calcutta which i think are not things which make Calcutta stand out as one of the most charming tourist destinations, leave aside being one of the most wonderful cities in the world. The things about Calcutta which the article was talking about were Nicco Park, Science City, and a few of the things which more or less you could find in most of the cities around the world. 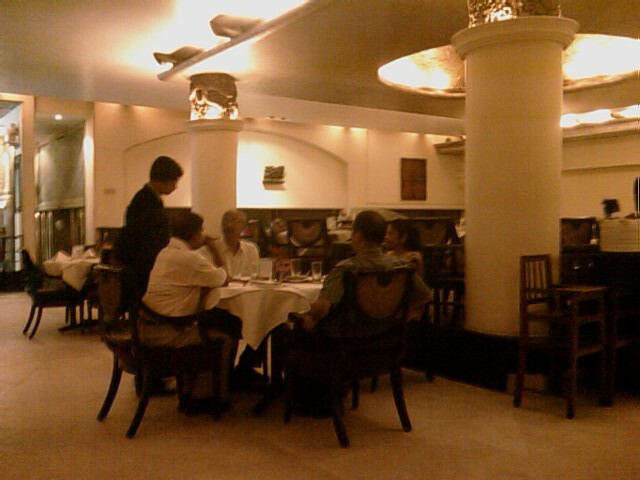 What i am talking about are the things about Calcutta which make the city stand apart as a city with a soul. The article didnt talk about the Phuchkas of Calcutta (to someone who loves eating thats probably the first thing that comes to mind when one talks about Calcutta given that Delhi and Mumbai claim their place in the Phuchka world with their Gol-Guppas and Pani Puris). Of course ther was no mention of the wonderful view of the city on a rain drenched morning having breakfast at Flury’s, one of the landmarks and a must-go-to place if you a re a visitor to the city. There was also no mention of the Egg-Chicken Rolls on some of the places to eat on Park Street. Nor does it tell you about the veritable gastronomic delights of Park Street or rather the half-kilometre stretch of road which can give you probably the best fare you could find in any part of the country. From Trinca’s (the music is probably not the same as the Iyer Sisters but nevertheless quite good) to Ming Room, or the wonderful fare of Kwality’s to One Step Up or (if you are an old-timer) the Steaks at Ollie Pub (a landmark of venerable vintage) to the veritable delights of Flury’s or the delightful Chelo Kababs (yes they come from Iran but Peter Cat knows the way to make them probably as delightful) at Peter Cat. There are also the delights of Tung Fong or if you are a die-hard Bengali food fan, Kosturi or Rodhuni which specialize in Bengali cuisine. The Prawns and the Fish there are simply amazing but then reading about them is not quite the same as eating them. 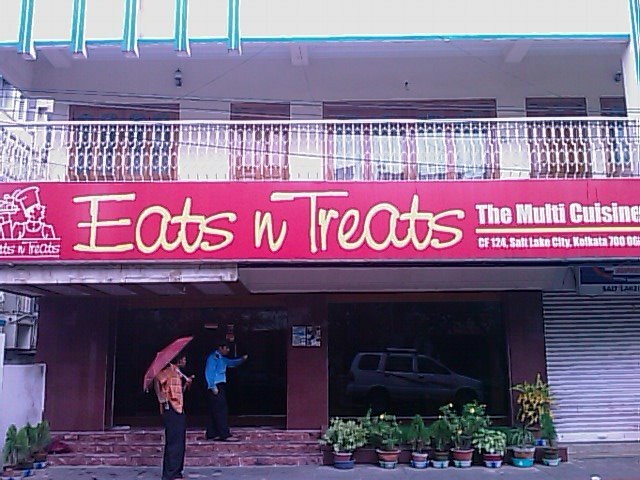 There are the modern eateries too, Eats n Treats for example, which gives some very good food. And the Fish and Rice on the roadside at Sector V which is a veritable treat though not when Calcutta is having her affair with high humidity. The article also doesnt tell about the mini bus waiting for a passenger who is probably half a mile away and the indignant fury of the passengers wondering aloud whether the bus will move at all or not. This doesnt also talk about the banter in the bus. Nor about the charms of travelling on an overcast day by tram through Maidan at a speed which can at best be described as leisurely. The article though did say that the CTC has introduced glass ceiling trams. Looked nice. More than these, though, what the article didnt talk about was the spirit of Calcutta. Of the friendliness of the people of Calcutta, of their way of making you at at ease (with a bit of condescension but thats to be had with a pinch of salt) of their love for anything intellectual, whether it be politics, football, Dada’s (Sourav for the uninitiated) scoring average or Shakespeare to Satyajit Ray or Jamini Roy. Of course it definitely doesnt include the spirit of College Street, the pilgrimege of anyone who has more than a passinf interest in books, or of the intellectual atmosphere of the Coffee House there. What Calcutta has is very difficult to describe and i know that many writers who i am not capable to holding a candle to have written volumes about the charms of the city but still, i try to write and say that the city has the charm and delight which is rather more than a trifle difficult to find in today’s world. Whether it be the Radha-Bollobhis or the Indrayanis, or the Sondesh or Roshogollas, Calcutta has them all and Calcutta can have you eating out of her many varied colours or charms for as long as you would like. And this is something which belongs to the people of Calcutta, and no matter where the city goes in terms of modern economic terms, this is something which onone can take away from the people of the city. 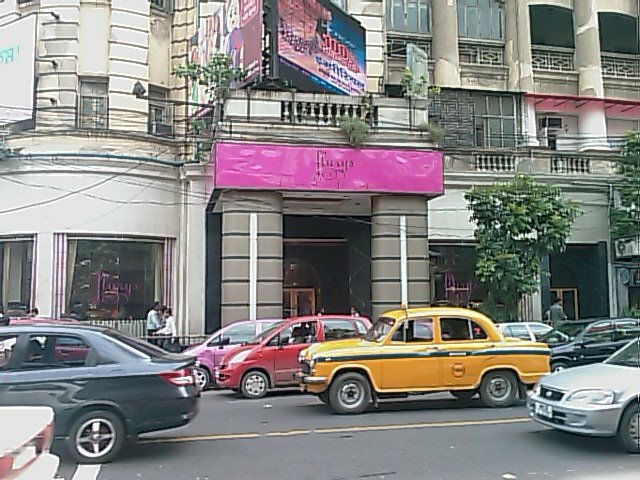 What i would say is that having Breakfast at Flury’s on a leisurely morning, with a few cups of Tea, watching the city walk by you is an experience which is quite difficult to find anywhere in the world, more so with the backdrop of Park Street, or maybe i should say Calcutta. There are a few places which look very beautiful at specific times during the day. Some look very beautiful by day, and others by night. And then, there are a few which look beautiful any time of the day. Standing at Bandstand even with its proximity to Lucky’s (arguably the best in Mumbai when it comes to Biryani), or Persian Darbar, about which I have blogged earlier, is primarily an evening attraction. Nothing matches peering onto the horizon over the Arabian Sea, the majesty of Bandstand around you. Follow this up with a few drinks at Janta Bar, or Toto’s, with a few friends, and Dinner at Persian Darbar, which you could follow up with a nightcap at Hawaiian Shack, and you have a wonderful evening. On the other hand, however, there are places which can attract your attention, and bedazzle your senses any time of the day. Park Street is one of those. Whether you are sitting by the window at Flury’s, having Breakfast at a legend in Kolkata, and a name which evokes dreams in anyone who has even remotely been attached to Kolkata, watching Park Street waking up in the pleasant morning breeze, people walking past the windows into a wonderful morning, or whether you are sitting by the window at Flury’s, sipping Assam, or even better, Darjeeling Tea, with Sandwiches, for a late-morning Brunch, watching the day mature into the noon-time of Calcutta, with the charm of Park Street slowly getting unveiled for the eyes of those who care to look (and those who don’t, and either know what they are missing, or don’t even have a clue), or having sitting by the window at Flury’s having Lunch, watching the crowd either pass by Flury’s to another restaurant for Lunch (and there are quite a few of those, most of whome are wonderful places to eat, and also, as good as Flury’s, though of course, this one is about Flury’s, so I will stick to the point), or waiting at the gate, to enter the wonder domain with the charm of the grand old lady, Flury’s, or a late afternoon snack of Pastries and Iced Tea, watching people sedentarily getting ready for the evening, or a cup of Tea late in the evening, before you head out for a sundowner (Olypub, anyone?) and more (definitely, if you are going to Olypub, you wouldn’t stick to a sundowner, would you? 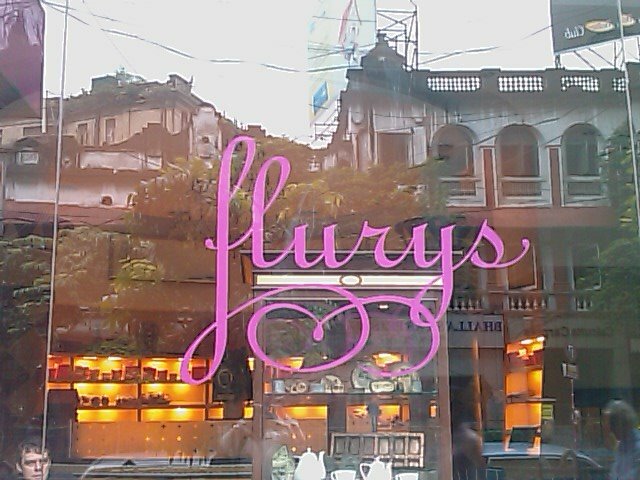 ), Flury’s is one of those places which casts its magic on you, no matter what time of the day you come here, and no matter what you want to eat. About Breakfast, well … Breakfast at Flury’s … has been a byline for the perfect Breakfast in Calcutta for a few decades now. The variety is nice, though the All-Day Breakfast is the all-time favourite. With Eggs, Bacon, Toast, Butter, the works … filling, and something you must have with your loved one, to start the day. Or, settle for the Beans on Toast, if you would … which are altogether wonderful, especially if you make full use of the chopped Green Chillies and Onions they give to accompany. Do make sure to puff contentedly at your Cigarette as you sip the Tea (not for too long, I would think, though …). If you are planning Brunch, you could also settle for the Mustard Chicken Sandwich, or the Mayonnaise Chicken Sandwich, or choose from the number of Sandwiches on offer … believe me, most of them are very good, though I prefer the Mustard Chicken, or the Mayonnaise Chicken … among others, of course. Quite difficult to make up your mind, but that’s par for the course if you are a Fury’s aficionado. Should you plan Lunch, try the Chicken Stroganoff. This is one of the best I have ever had. Of course, there are a number of choices which you could go for. No matter what you choose, do make sure to top if off with one of those wonderful Rum Balls which Flury’s is famous for. Or, the Tiramisu … my favourite, though, are the Chocolate Logs … with grated Peanuts stuffing! You could definitely do well to top this off with a Strawberry Shake. Late evening, too, the Chicken Sandwiches which I wrote about are a wonderful idea … little white triangles full of taste. Accompanied with either one of their wonderful shakes, or better still, try the Iced Tea to go … unless you are one for Darjeeling or Assam … though, of course, their Masala Tea is not bad either. Of course, all this says that Fury’s is a place which you could go to any time of the day. Though, of course, I seldom venture there after 8 pm, for the simple reason that after that, the attraction of Olypub, or one of the other establishments which give Alcohol to go with Dinner, work much more wonders than the charm of Flury’s. During the day, however, sitting by the window of Flury’s, watching the street waking up, and coursing through the day, can be an experience which, to my mind, cannot be paralleled by many. Sitting lazily, smoking, reading a book, watching the myriad faces pass by, from all across the world (I have come across people from myriad nationalities, as well, of course, from almost all parts of India here), most of them not being able to resist catching a glimpse of Flury’s as they walk by, if they are in a hurry, or stepping in, for a little portion of some of the delights Flury’s comes up with, can be a wonderful way to pass the day. If you thought there wouldn’t be many more coming after I managed to tempt you with the Arsalan Biryani, think again. Here’s another one … another post, another institution. Another one … again Calcutta. But then, what to do … the city is so ancient (figuratively) that the list of ancient names is almost a legend by itself. Ask anyone who has lived in Calcutta, and you will understand what I am talking about. Folks here almost drool at the mention of these names … well, who am I to complain … so do I. Coming to the point … this time I am writing about another legend … Tung Fong! One of the venerable names when it comes to Chinese food in Calcutta. 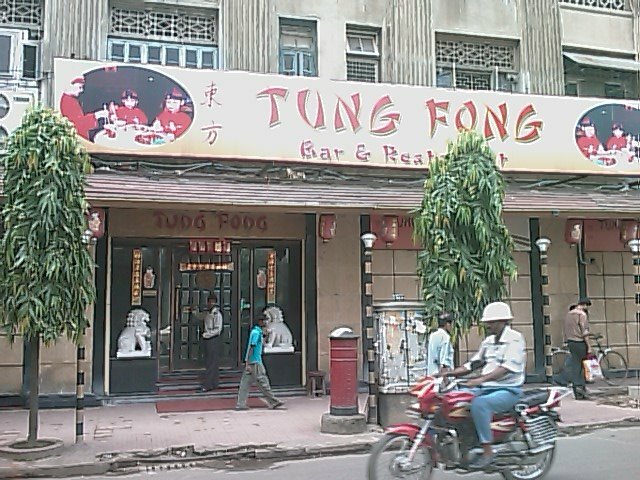 And it could safely be said that Calcutta is the first city when it comes to Chinese food in India … which would make Tung Fong one of the most revered names for Chinese food in India … Mainland China notwithstanding. Tucked away on Freeschool Street, a short walk from Park Street (oh, this has to be the centre of the world for all foodies … no matter what the French say! ), Tung Fong is unassuming … till you step in, that is. 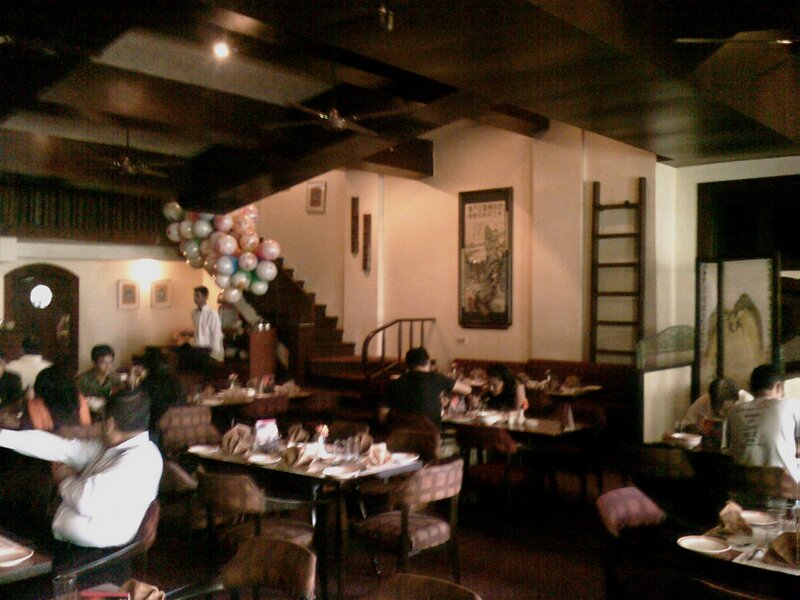 Ambience which is delicately upheld by soft lighting, brings out a luxuriant atmosphere. 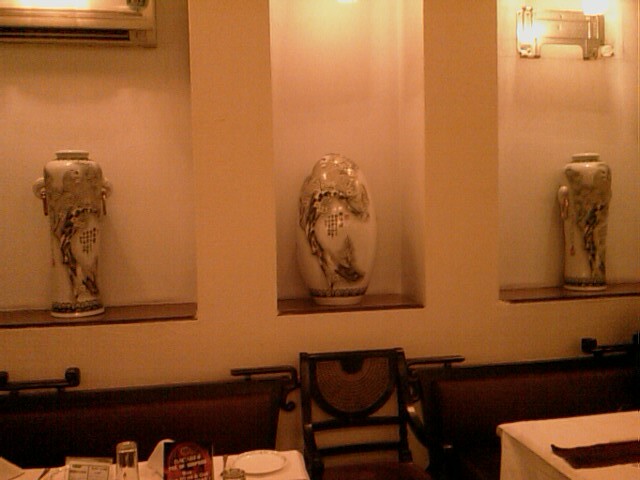 Some beautiful murals, and elegant vases adorn the walls, and overall, this is a place you would like to go to. Coming now to the core aspect of what I am writing about … food! One aspect of the restaurant which stands out is that they don’t believe in force-feeding you. This is a scenario which I find in most restaurants. If you go out to eat alone, you will find that the portion sizes are too huge for one person, which means either you waste food, or doggy-bag it. Here, on the other hand, they take care of the varying appetites of people … so, they serve most dishes in three sizes … from single (which serves one), to double (which serves two), to large (which, yes you guessed it, serves three). So you can choose which portion size you want to order, depending on how hungry you are. Or, even if you go out with friends and family, instead of ordering large portions of two dishes, say, you could order smaller portions of larger dishes … more variety to the meal! We began with the Chicken Wanton Soup … this has to be the best soup I have had. Just the way it should be … enough flavour, and the tastes blending into each other with natural ease. Add to it just a dash of Vinegar, and a little bit of Honey-Chilli Sauce, and you have probably the best Soup ever. We followed this up with the Schezwan Chicken, Mixed Fried Rice, and the Garlic Lamb. The Rice is wonderful … a taste which is different. This reminded me of Malaysia … actually, the Rice tastes somewhere between the usual Fried Rice you get in Chinese restaurants in India on the one hand, and a Chicken Satay on the other hand … rather unusual taste, which brought back memories of Penang. And these just added to the taste of the Rice. 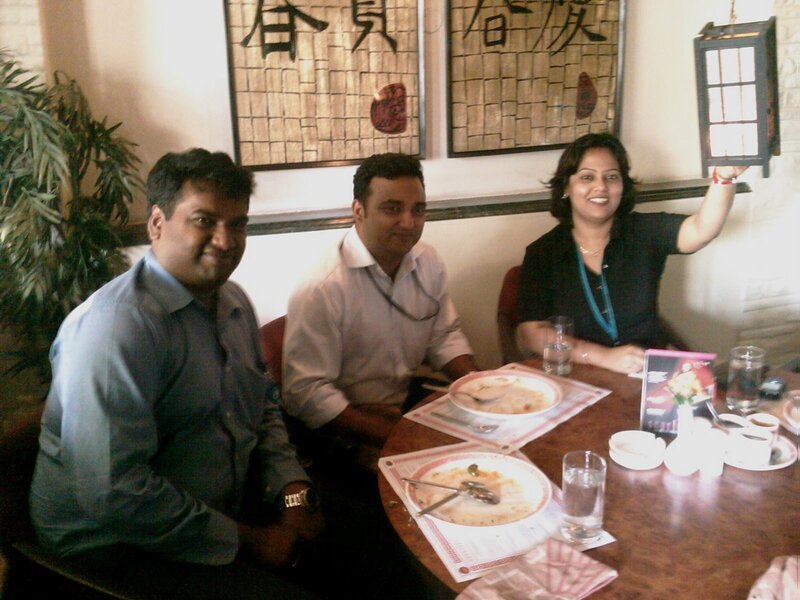 The Chicken Schezwan was par for the course … not something which you would trek to Tung Fong for. The Lamb, however, is in a different league altogether. Here we had Lamb which was almost as tender as what you get when you go for Mughlai food, while at the same time, the flavours of the Lamb did bring out a taste which is quite original, and something which, while putting your tongue on fire, is definitely something you would remember, and walk down Freeschool Street for, again and again. There are a few names in a city, which are names which are synonymous with the city … at least in the minds of the denizens of the city. In Calcutta (sorry folks, I still refer Calcutta, if I am writing in English), there are more than enough such names to go around. Of course, most of them are institutions by themselves. These are names which are revered, and well … in the case of the name I am writing about, drooled about. For generations, Calcuttans have drooled about one such … Arsalan! 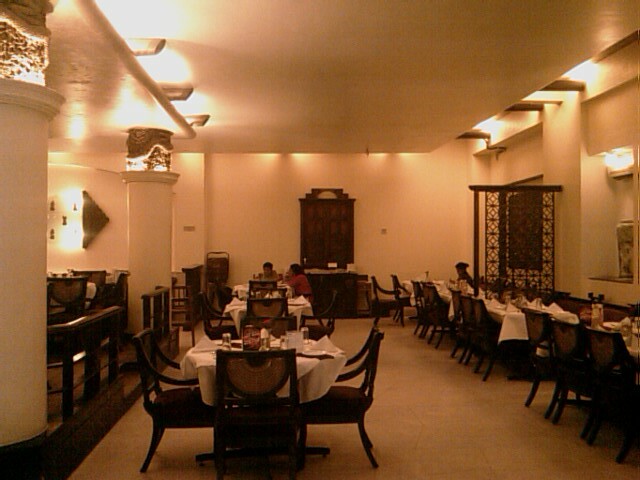 Yes, an institution by itself, Arsalan is a name synonymous with good Mughlai food in the city. The original Arsalan which most Calcuttans identify with is at Park Circus … though we didn’t quite go there … tends to be a hot idea to go there and eat on a hot Calcutta afternoon … we went to the new outlet which they have opened at Circus Avenue. You have to be careful to not miss it. And the place is every bit worth the drive there. Getting there could be an adventure, depending on which part of the city you are driving from (we were coming from Camac Street), and this can be quite an experience at 1 pm (what with the traffic direction changing and all …), but its worth it. The ambience, as you can see, it quite nice. Its reasonably comfortable, without being overbearing, or for that matter, arrogant (ya, I find a few of them arrogant in their plushness!). Coming to the food … we tried the Mutton Kasturi Kababs, which are the dream nuggets of a connoisseur. A dish which must be tried if you are even remotely interested in food. Definitely lip-smacking, though one has to be careful … don’t chomp off your fingers in the act! The Biryani (Chicken) here lives up to the formidable reputation of the establishment (generations have grown up on this Biryani, you see …), and the quantity is just right … doesn’t stuff you, and at the same time, you don’t feel hungry. And of course, such a meal has to be topped with Dessert … and, whats better than a Firni at an establishment as revered as this? Calcutta, in fact, I find, consumes more of Firni than Delhi does (remember, the Firni is a native of the northern reaches of the country) … no, I am not complaining. Though, the Firni left a bit to be desired … nice, definitely nice, but … could have been better. Coming to the service … well, we were a little early … in fact, probably the first ones to reach … but the service is definitely nice. Not too lax, and not too rushing, either. And, definitely pleasant! 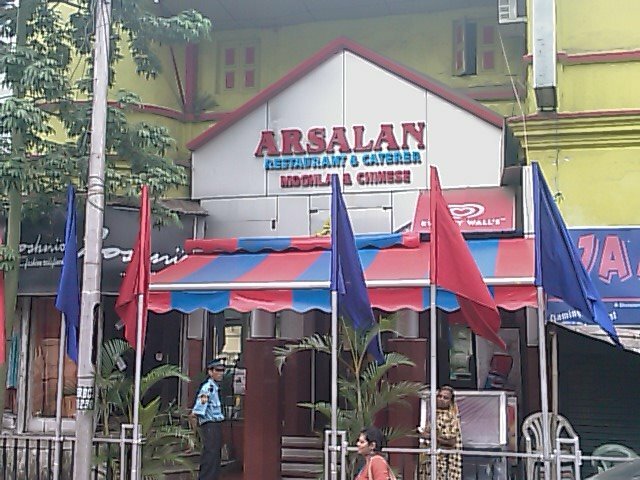 Though, I wouldn’t like to end this on such a note … I would recommend Arsalan as a restaurant which is more than worth a visit next time you are in Calcutta, or the next time you go out to eat. And of course, if you would rather be home, then the take-away would be just what you could ask for. Getting around in Kolkata can be strange at worst, or an exhilerating experience at best. No matter which, it is bound to be an eperience you cannot forget. Nor can you replicate it in any corner of the world. Commuting from Sector V, Salt Lake to Theatre Road (or to any other part of the world) could leave you breathless. And I tried to do this at half past eight in the morning. Being the technology hub of West Bengal (for all that is worth as a tag), this place comes to life only at 10 in the morning. After that, posibly, but defunitely not before. For the enterprising Bengali spirit does not allow the bhodroloks or bhodromohilas (i am trying not to sound sexist here) to venture out before a certain hour. This hour varies from one member of the species to another but is rarely before 10. So this is the scenario that awaits you if you try to look for a taxi anytime before that hour. Because there just aren’t any around. Waiting for a taxi certainly gives you options. The first option to present itself was a private car, the driver ferrying the car from one place to another without employer supervision, making some money on the side. I thought I would wait for a taxi. Carried on waiting, but the taxi didn’t appear. Quite soon, I was running out of patience and running into ample sweat. This was when the next option presented itself. Known in this part of the world as shaadaa mini, these are racing equipments (much like most other beings on Kolkata roads) disguised as buses. And one must see it to believe it. Well, this one was a shaadaa mini, to distinguish them from their non-shaadaa cousins from the (almost) F1 circuit. Getting a place to sit was not an issue. I decided to get down to reading. Though the way the bus was swaying owing basically to the driver’s demonstration of his geometric genius by drawing near perfect sine curves on the road in his attempts at getting ahead of every single living creature on the road, no matter it’s denomination, reading was to be an exercise in futility. So I decided to look out of the window. Wonderful day, with the beauty of nature being recently washed by rain. No wonder, I thought, about the person who had told me about the delight of watching the scenery outside the bus when travelling in these parts of the world … After all, you don’t have much choice do you? Not really given that you would much prefer to keep your eyes glued outside the bus, hoping to supplement the driver’s sight if not his brains. And try to swallow your internals into the same place where they were before they decided to take an exit route following your alighting the mechanical monster. And trying to keep your legs steady once you are off it. That should keep you occupied enough to keep your eyes on the road … And in the process also feel the soothing touch of Mother Nature… Specially along the Bypass. You can also watch from the sidelines the highly intellectual debate between the bus conductor and a passenger about whether the fare should be Rs. 8 or Rs. 9, culminating in the passenger challenging the bus conductor’s knowledge of bus fares (that’s only his job after all, while being a topic of passion for the passenger) and the bus conductor inviting the gentleman to not avail the services of the bus. PS: Park Street retains her charms even at this time of day. More about that when i go there next. This time round, I decided to go to a restaurant where, for some reason or the other, I have never been to before … Flavours of China … Ok, so its not some reason or the other, its just one reason … Peter Cat! Simple … whenever I go to Park Street, the overwhelming urge to tuck into those Chelo Kababs is enough to overcome the urge to explore. Well, at least nine times out of ten. 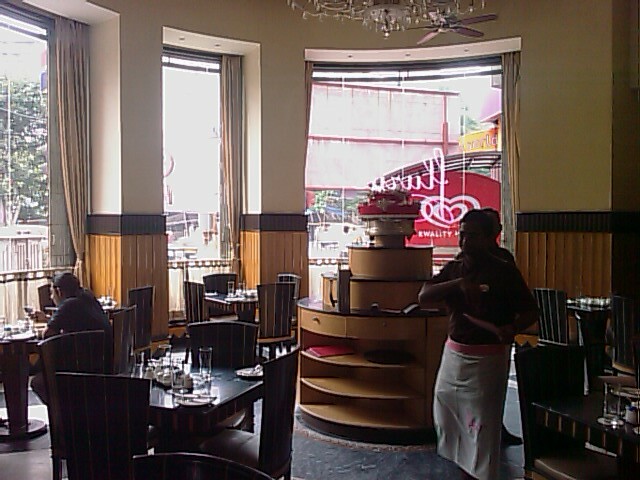 The restaurant is everything a Chinese restaurant should be. First of all, its on Park Street, so it scores over Tong Fung, or Jimmy’s Kitchen, which in turn score over Mainland China (though, as i have written earlier, the food at Mainland China is wonderful) in terms of location. Ok ok, that’s about the only thing, though. The food is definitely good, though I don’t think this can match up to the iconic status of Jimmy’s Kitchen. 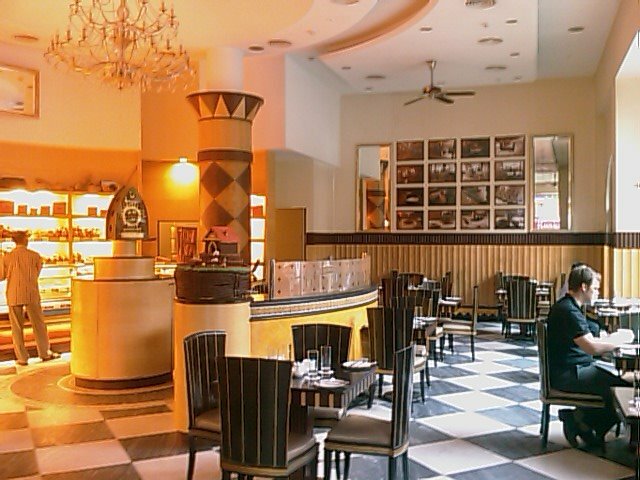 Or, the Soups at Tong Fung … Though, given a choice, I would much rather be here than at Mainland China. 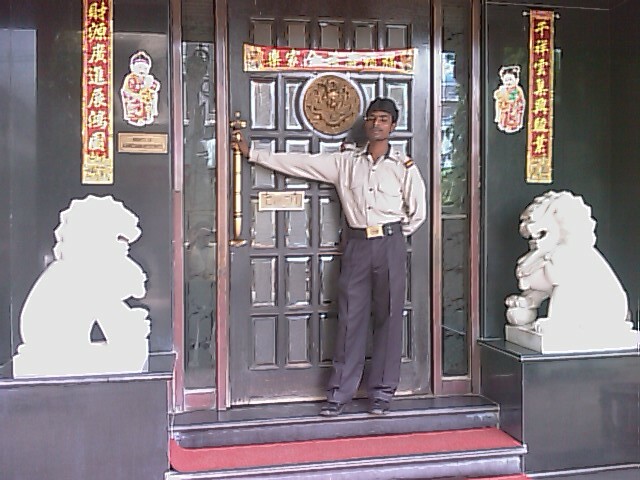 This is not to say that Mainland China is lacking, but something about Flavours of China which could attract you there. Since there were four of us, we were more open to experimenting. The reason being that even if the experiment bombs, someone will be there to help you mop up the pieces. So, we began with the Mixed Meat Fried Rice … Quite nice. Accompanying the Rice was the Hunan Chicken, the Shredded Chicken Chilli Garlic, and Fish Chilli Wine. The Rice is nice, and something which one should definitely try. The Shredded Chicken Chilli Garlic is quite interesting … they put in crunchy sprouts in the shredded Chicken, giving a crunchy feel to the dish, in addition to the mildly spiced Chicken, which is quite nice. The Hunan Chicken is cooked in Wine Sauce, as is the Fish Chilli Wine … The sauce was quite similar, though on the whole, both of them are worth trying. Mildly spiced, they don’t have the spices standing out, yet you can find chilli flakes in the sauce, adding to the flavour of the wine sauce. 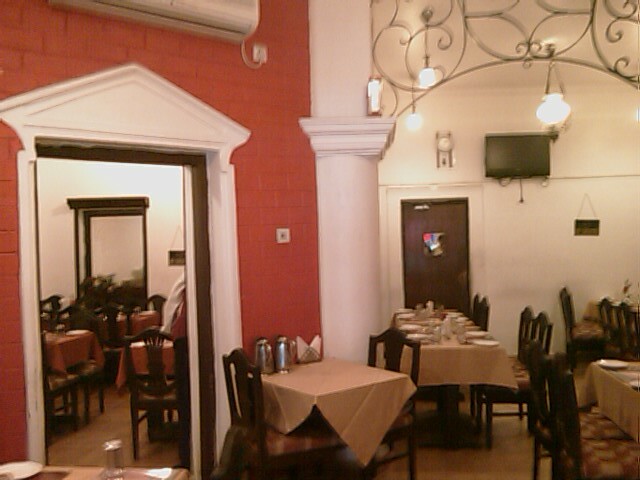 The ambience is not authentic Chinese, as is the food not authentic Chinese either, thankfully, considering that if there is one reason we are able to eat Chinese food, its because of the Calcutta (or Punjab, depending on your viewpoint) influence. The bar is tastefully presented, though nothing much to write home about. Besides, since I was here for Lunch on a working day, I wasn’t indulging. Though the bar does blend nicely into the ambience. Another restaurant which I decided to eat at, is another old favourite (one of my favourites in the neighbourhood, in fact), that is Eats n Treats. Not much to write home about, the ambience is reasonably well done, not great, and not bad, the lighting is dim, which is nice, though the service leaves a lot to be desired. When here, one must not leave without trying the Fish Punjabi, which is like a Zeeshan or Siraj version of a Punjabi curry, and is something which leaves a wonderful flavour, the Fish is fresh, and the curry is very good. Another must try is the Mutton, or for the faint-hearted, the Chicken Rizala … the Rizala, as we all know, is the contribution of amader Kolkata to the world, and Eats n Treats makes this as good as any reasonably good restaurant in the city. Must have, something you would really like. The Daal Makhani is not much to write home about, though.